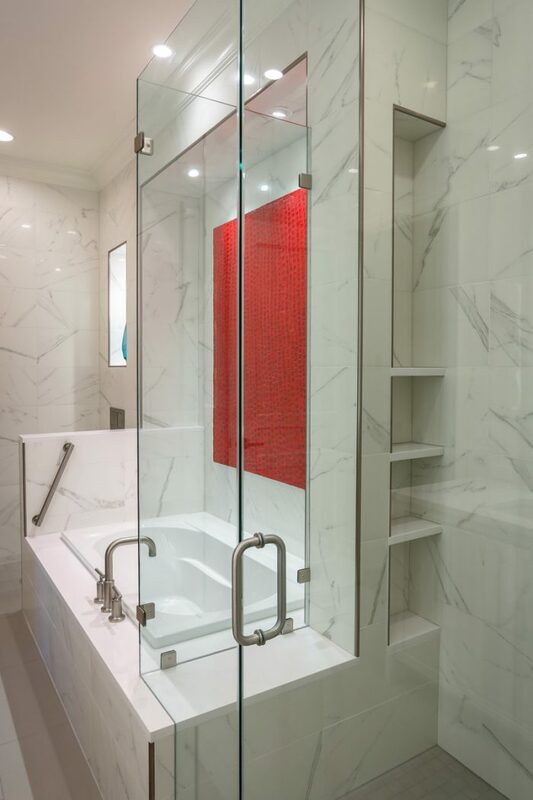 This spectacular master bath makeover was the result of a solid design plan, the refined tastes of the client, and fine craftsmanship for every element. 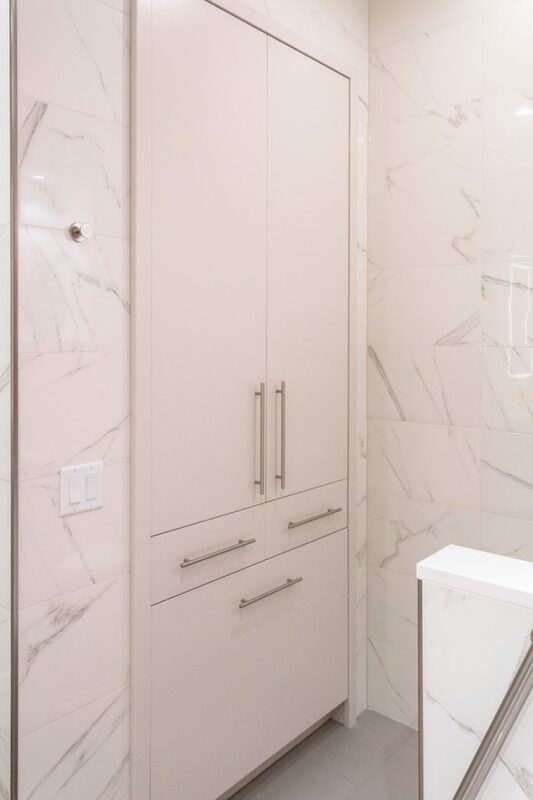 In addition to the bathroom, this project also included a master suite closet, with custom cabinetry and finishes to coordinate with the bath. 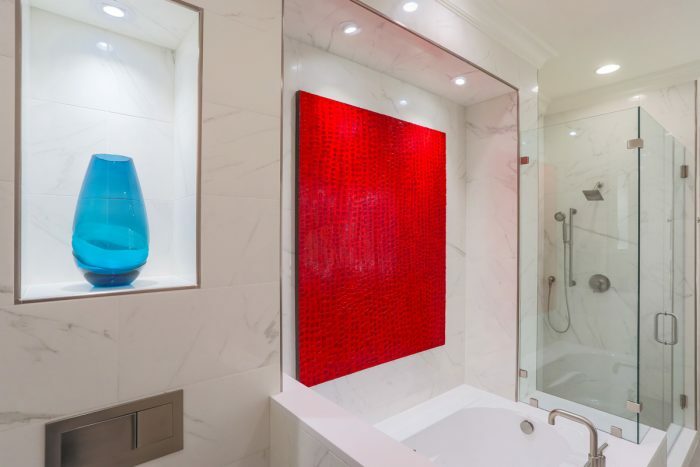 High-end tile work and the inclusion of works of art within the space added to the final splendor. 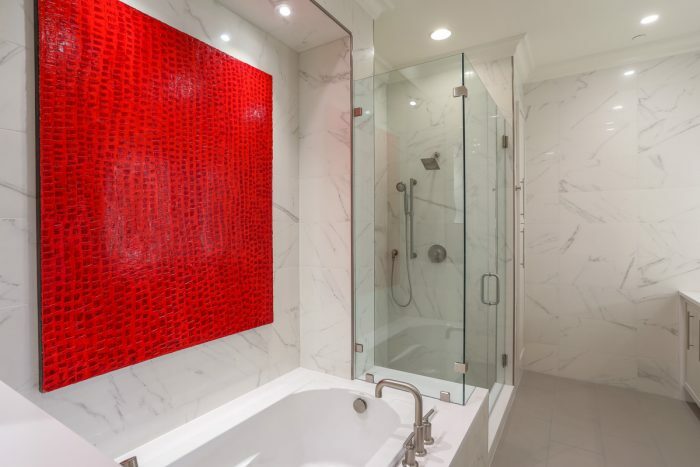 The home is in a luxury condominium building, so considerations such as common walls and shared fire sprinkler and plumbing systems also figured into the scope and demands of this renovation.